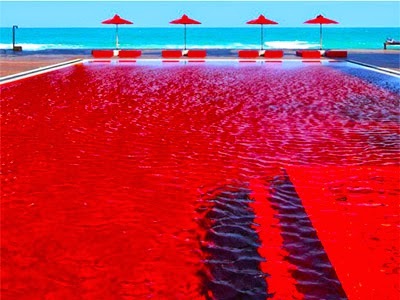 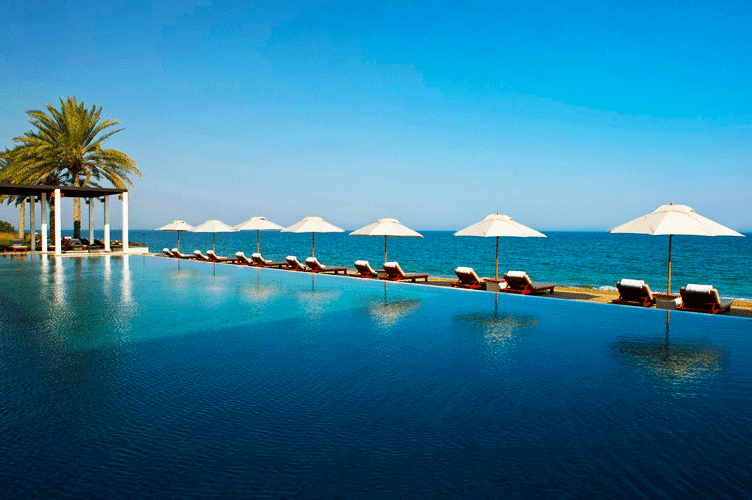 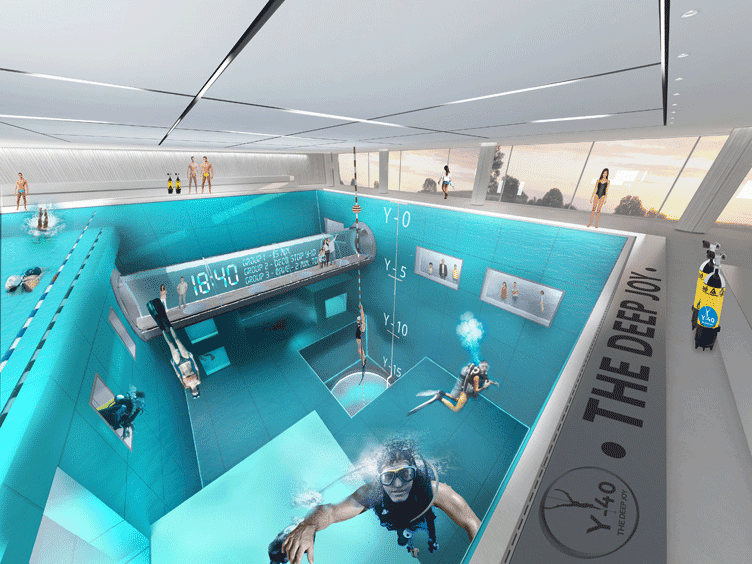 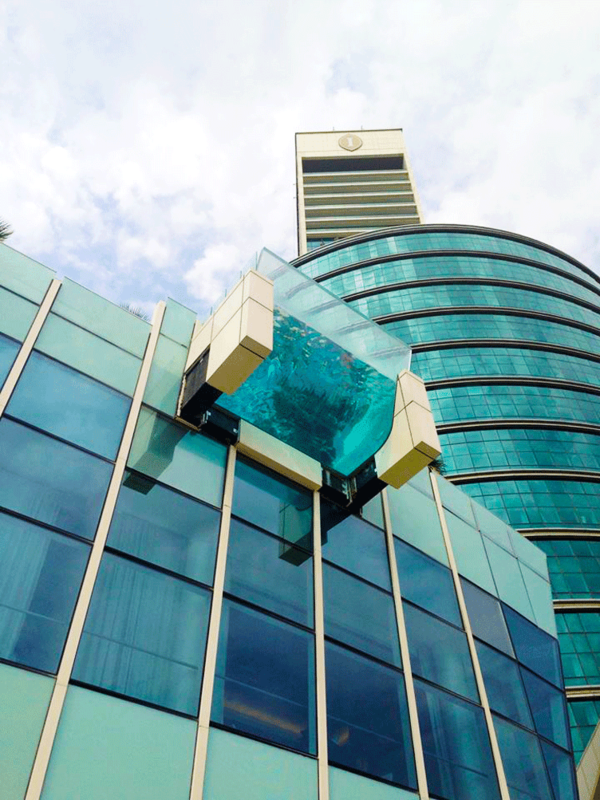 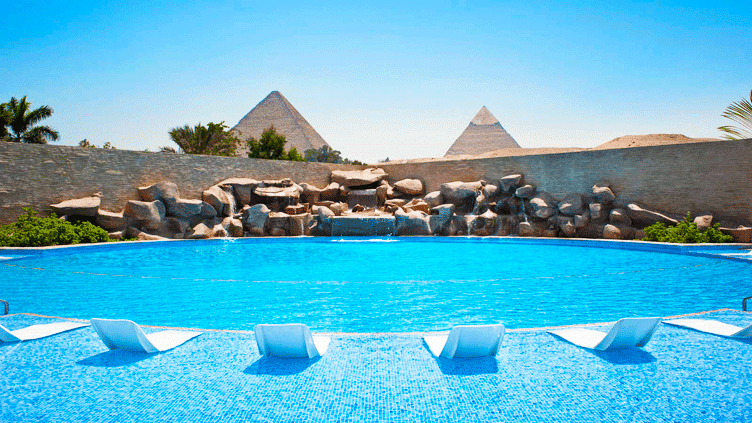 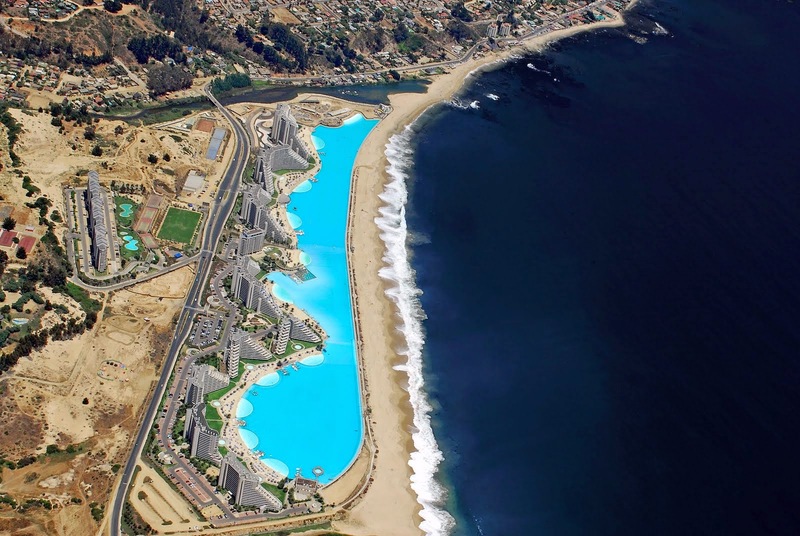 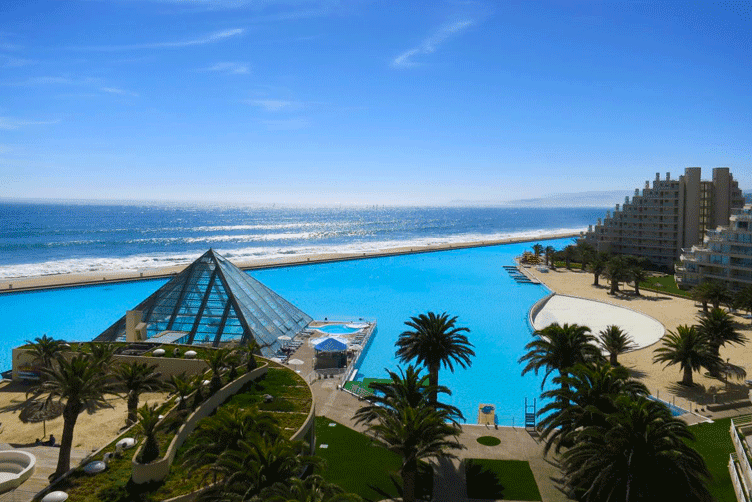 10 swimming pools, which we advise you to visit it someday. 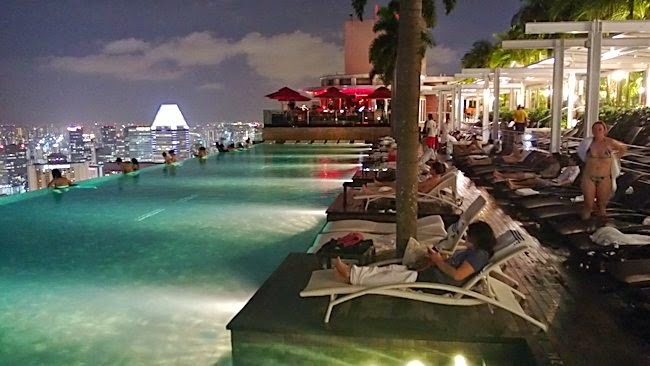 01- Sands Skypark swimming pools on the surface of the Marina Bay Sands hotel in Singapore, in the 57th round of the most expensive building in the world ..
02- Swimming pool in the compound of the San Alfonso del Mar in the Olgouropo city in Chile, it is the largest swimming pool in the world, with about 1 km of the length, and an 81 km ² of area, it can accommodate 250 million liters of water drawn from the ocean, and reaches a depth of 35 meters at the fullest point. 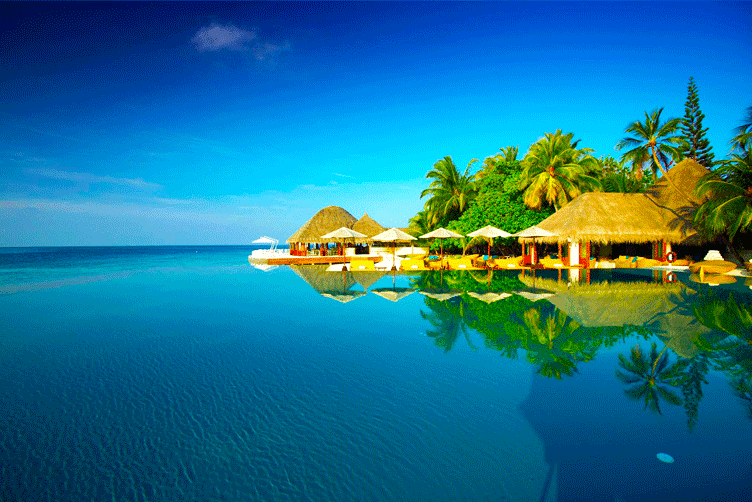 04- Swimming pool complex Huphavin Fushi in the Maldives, the meeting of pond and ocean! 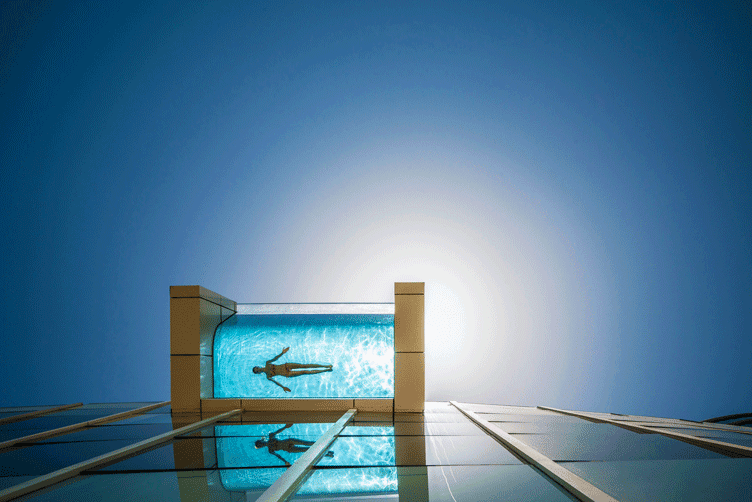 06- InterContinental Residence Dubai Festival City, pool terrace transparent to end! 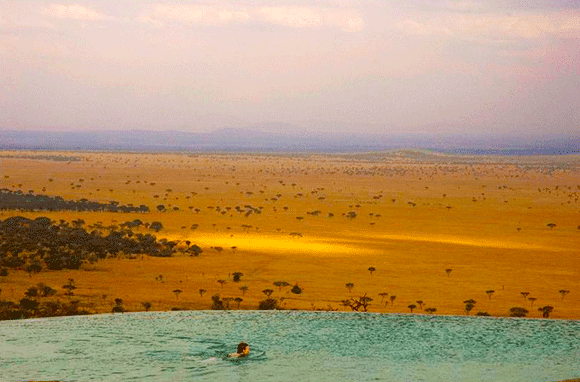 07- Swimming pool in the resort of Singita Sasakwa Lodge in Tanzania on safari views ..
08- Y-40 Pond, located in Padua, Italy, is the deepest pool in the world, where up to a depth of 40 meters, and diving suit professionals as amateurs.